Money Transfer systems allow physical individuals to make fast and affordable/ inexpensive/ transfers globally without opening a bank account. 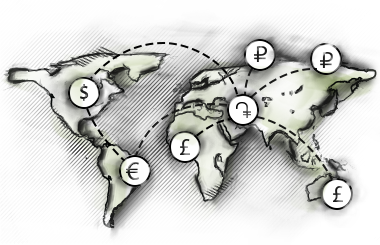 Our partners are the largest Money Transfer systems worldwide. We have 63 branches in all Provinces of Armenia and in Karabakh. Transfer is available within 10-15 minutes* after Transfer is effected. *in some cases, to perform additional clarifications, the mentioned period can be altered. Cancellation of the Transfer by the Sender as well as a change of personal data is free of charge, and made upon written application of the Sender and his/her ID. Transfers cannot be cancelled, if the payment has already been effected to the Receiver. Correction of errors in the Transfer, as well as cancellation of the Transfer, is performed by the provider organization in accordance with the Transfer systems’ rules and time frames. The Bank effects the transfer in the currency provided by the Sender; a few Money Transfer systems allow receipt of transferred money in a different currency depending on the destination country. The transferred money is converted at the exchange rate set by the service providing system and is paid to the Receiver in the currency fixed in the payment order. The Receiver is charged no additional fees. The service fee for the Transfer made from RA is paid in Armenian Drams. For each transaction made, the Bank provides the customer/remitter/ with an endorsed document.